Join a group of people who want to make a change! 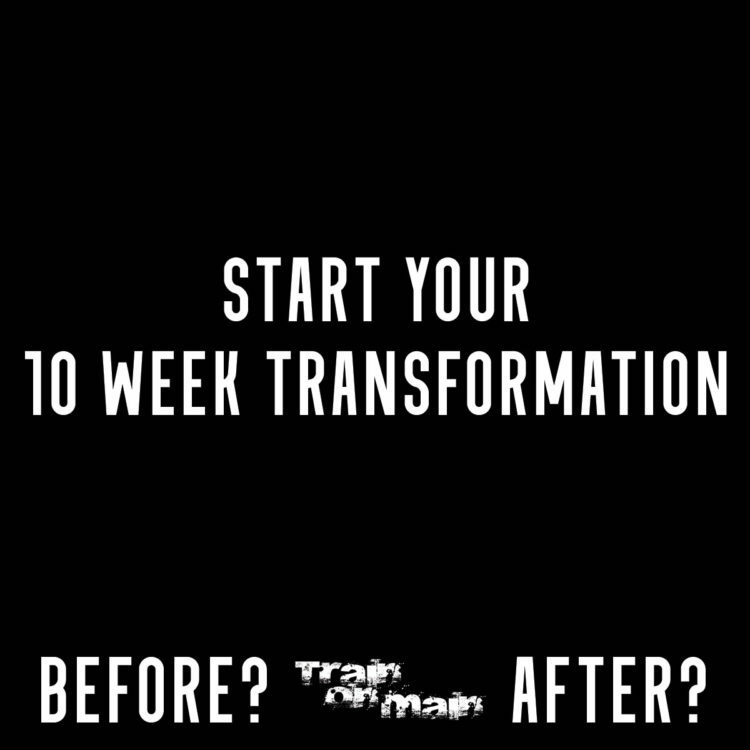 And be on the road to a healthier better you in just 10 short weeks. All Ages and All Fitness Levels Welcome. I have been working out with Martina for about 9 years. I don't exercise at ToM but I have seen the development of this gym from conception. 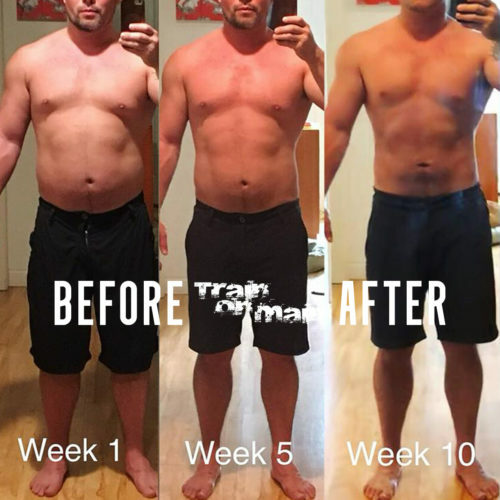 I just finished their 10 weeks challenge and I got really motivated by it. To my big surprise, I enjoyed and learned a lot from the challenge. Before joining, I had walked past Train on Main a number of times. Every time there was something going on and this peaked my interest. When I looked into the gym further, I discovered the Fit in 10 Challenge. At the time, I was pretty unhappy with my body composition and wanted to do something about it. So I signed up, and vowed to make a change. I continue to train on main because it unlike any gym I have gone to before. Everyone is friendly and encouraging. There is a real sense of community. Fitness can be a challenge thing to work on, but it is a lot easier when you are not alone. 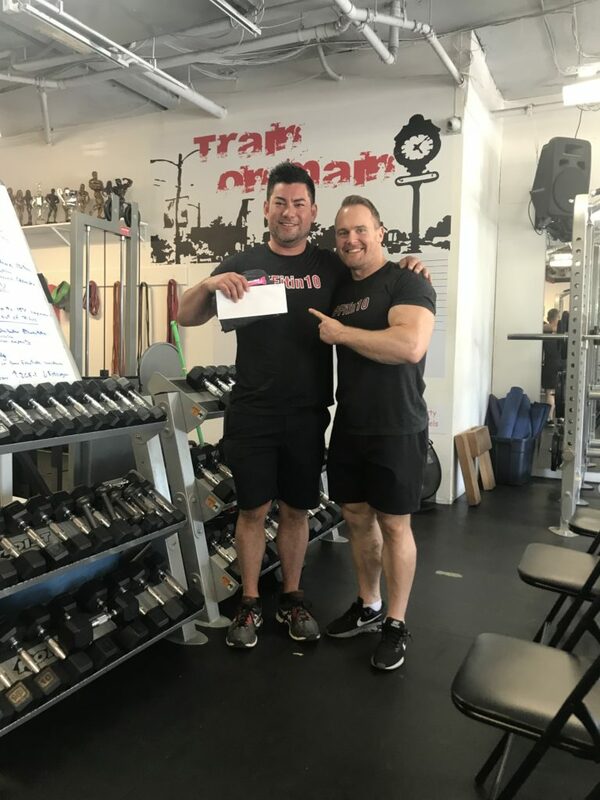 The trainers have taught me a lot and continue to provide me with great feedback. You can tell they not only want you to reach your goals but also be able to maintain the behaviours that helped you achieve them. ... my whole adult life, I wanted to shed 10 pounds. I did not have the tools to lose weight safely over time and keep it off. 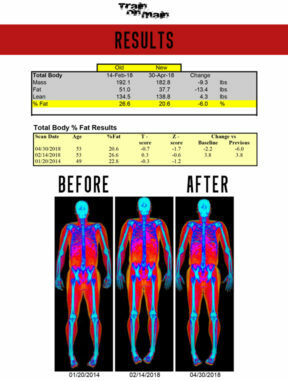 As a chronic dieter, I was always looking for the quick fix. I would start a diet and fail after a few days of feeling cranky and hungry. 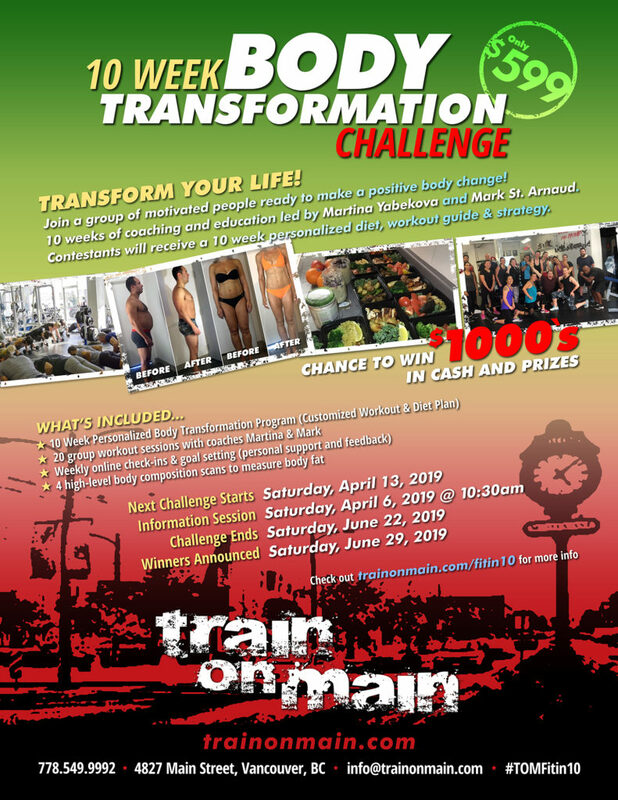 When Mark and Martina announced they were organizing a fitness challenge, I signed up with trepidation. Every week, there was a workshop on fitness and nutrition. 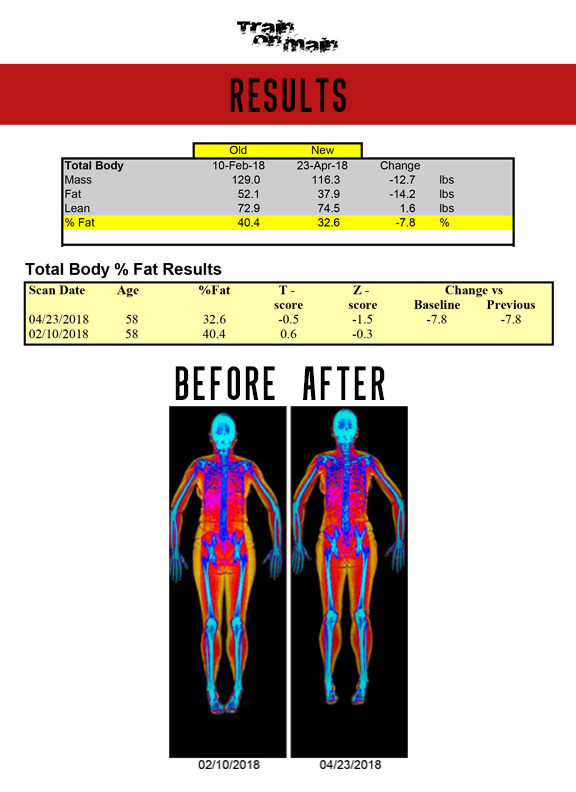 We were sent a weekly macronutrient breakdown for our diet and workouts. We had a weekly weigh in which kept me on track and accountable. Our workouts consisted of 3 strength training days and 3 cardio days. All this information was a huge learning curve for me. I decided to trust the process and give it an honest try. I was pleased to see that I could diet without feeling hungry. 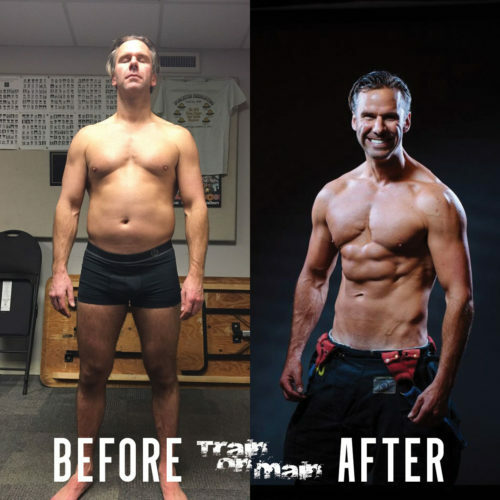 I learned to make smart choices with my food and made the gym my priority. 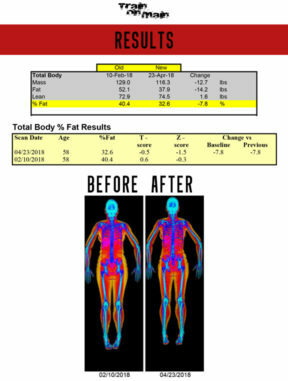 Every week there were small adjustments to my macros and workouts. These minor changes made the program sustainable and something I could finally stick to. I exceeded all my expectations with the program. 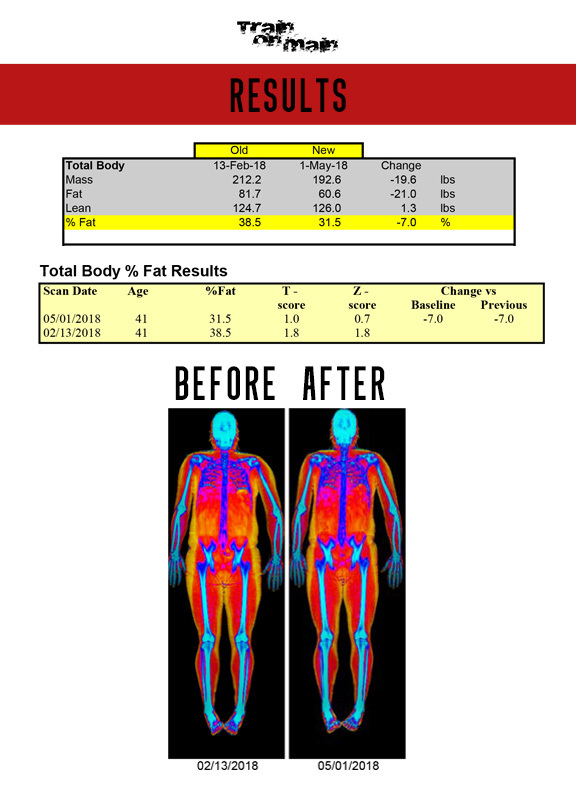 I lost 15 pounds of fat and gained half a pound of muscle in the process. 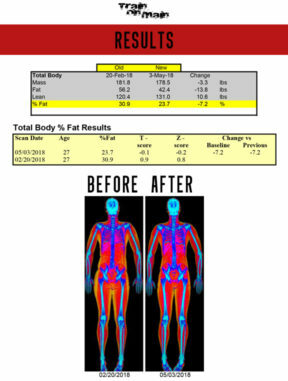 I have never been happier and I am thrilled with my results! I now have the body I always dreamed of! " 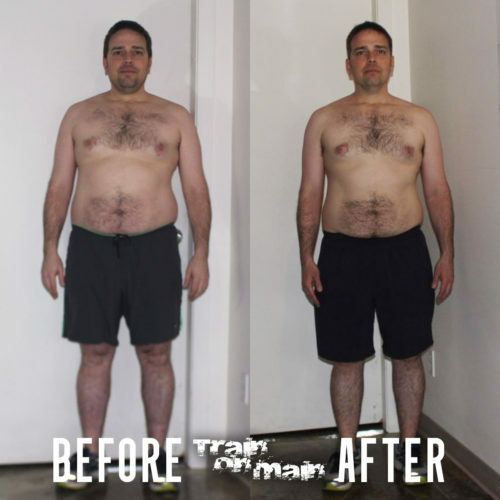 I joined Train on Main because Martina and Mark are phenomenal trainers and fun to train with. 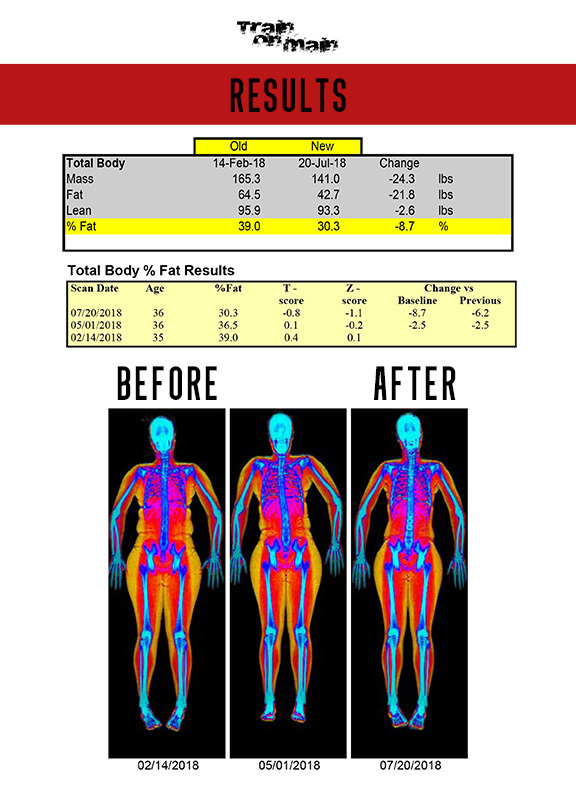 They understand the uniqueness of each body and the nutritional essentials required for varying objectives and different body types. 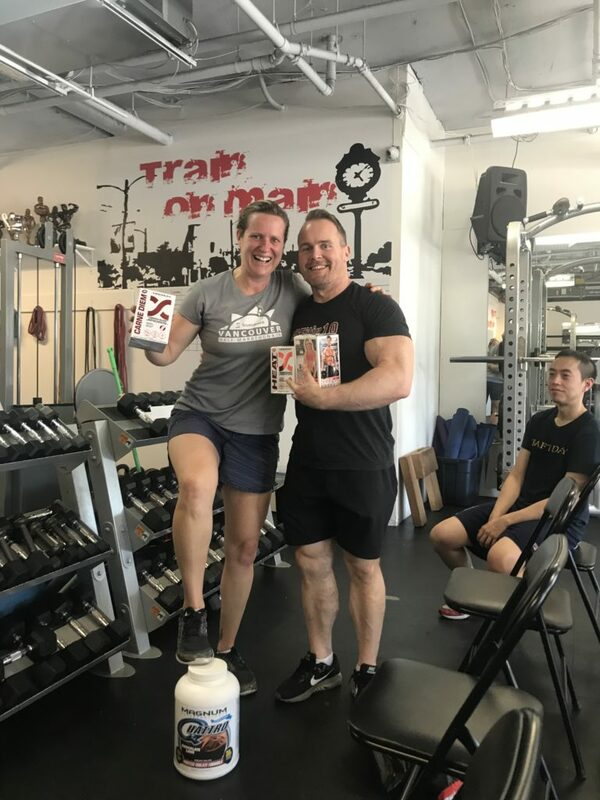 With Martina and Mark being very down to earth and people-oriented, the culture of the gym is the same. 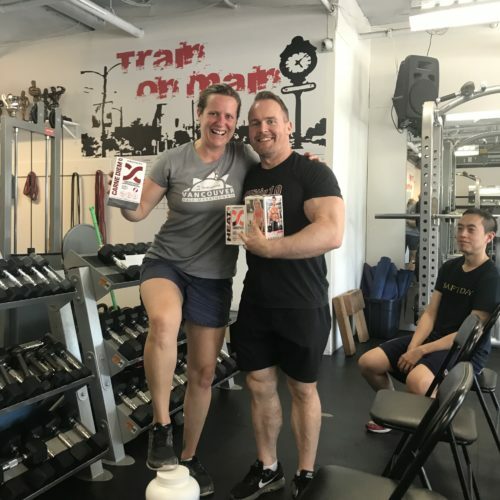 The trainers and the participants connect like a community, making the workouts fun and giving a comradery in challenging the physical strength and endurance. Over the years, I have learnt tremendously from the trainers about nutrition and the different types of exercises and their purposes. From their tutelage, I have gained confidence in the choices I make about food and dietary lifestyles and in my own fitness skills. The training I have received over the years at Train on Main have given my body greater strength, mobility and endurance. 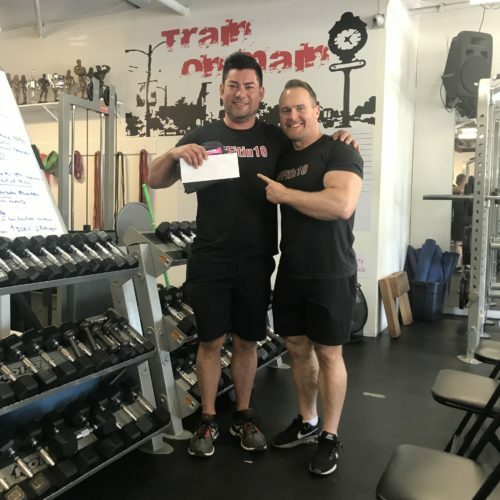 I enjoy the friendly folks at Train on Main who come from all walks of life; they give the gym a community feel and a vibe that is fun and welcoming.